The image that springs to mind is of the young Mozart touring the royal courts of Europe and being feted by crowned heads. He was a prodigy, a celebrity, a star. The reality was not so splendid, and even less so for his sister, Nannerl, who was older by 4½ years and also highly gifted. The family Mozart, headed by the ambitious impresario Leopold and cared for by his wife, traveled the frozen roads of the continent in carriages that jounced and rattled through long nights of broken sleep. Some royalty were happy to keep the Mozarts waiting impatiently for small payments. There was competition from other traveling prodigies none remotely as gifted as Mozart, but how much did some audiences know about music? Toilet facilities were found in the shrubbery along the roads. Still, theirs was largely a happy life. 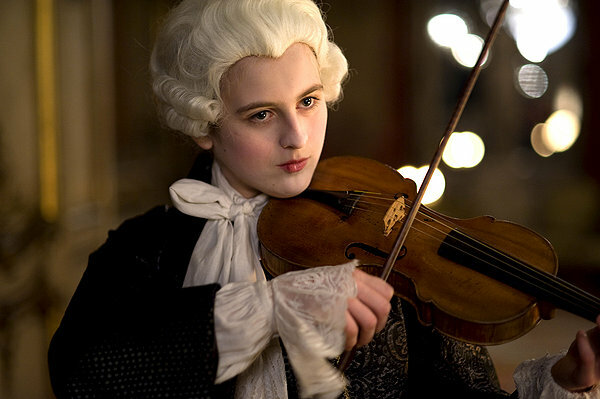 French director René Féret takes a fictional look at the early life and times of Wolfgang Amadeus. The film isn’t interested in the pretty manners and nostalgia of many period movies. In truth, the film has little to do even with Wolfgang, a side note in a story focused on his only sister who’s first seen squatting on the side of a road taking care of business at a short distance from her similarly engaged father, mother and brother. This is the Family Mozart, stripped down and at their most human. René Féret’s ponderously acted movie is partly a feminist reclaiming of one of history’s lost women, and also a revisionist, speculative account of Mozart’s early life that is not so far away from Milos Forman’s Amadeus. It has a seriousness that commands attention, and a very believable sense of the hardship and bitterness Mozart Sr put his family through. A speculative account of Maria Anna “Nannerl” Mozart (Marie Feret), five years older than Wolfgang (David Moreau) and a musical prodigy in her own right. Originally the featured performer, Nannerl has given way to Wolfgang as the main attraction, as their strict but loving father Leopold (Marc Barbe) tours his talented offspring in front of the royal courts of pre-French revolution Europe. Approaching marriageable age and now forbidden to play the violin or compose, Nannerl chafes at the limitations imposed on her gender. But a friendship with the son and daughter of Louis XV offers her ways to challenge the established sexual and social order. MOZART’S SISTER was shot on location in Versailles. 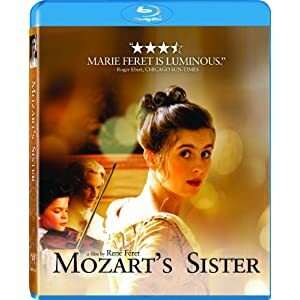 That sister, Maria Anna Walburga Ignatia Mozart, born in 1751 and known as Nannerl, was said to posses a rare talent that, by some accounts, this film included, nearly rivaled that of her brother. Drawing on Leopold’s letters, among other sources, Mr. Féret paints a speculative, intimate portrait of a family bound by love, genius and ambition and almost undone by the same. 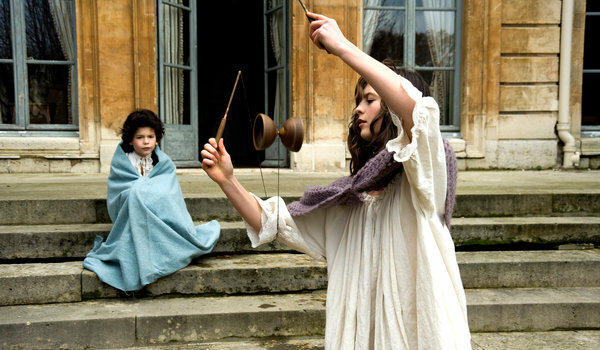 Played by Marie Féret (the filmmaker’s daughter), Nannerl is an attractive, obedient and rather opaque 14-year-old going on 15, given to watchful silences and long looks at Wolfgang (David Moreau), who was younger by four and a half years. They were the only children out of the seven born to Leopold (Marc Barbé) and Anna-Maria (Delphine Chuillot) to survive childhood. If the calamity of those deaths weighed on the family it doesn’t register in “Mozart’s Sister,” which unfolds at the end of a long tour that began in 1763 when Wolfgang was 7. Marc Barbé and Delphine Chuillot are Léopold and Anna-Maria Mozart, parents who are putting their children through a gruelling and continuous continental tour. Their remarkable 10-year-old, Wolfgang (David Moreau), plays his own compositions to the crowned heads of Europe. When the film opens, Leopold, a musician in his mid-40s when the tour started, is a pushy if loving stage father so dazzled by his son that he hardly has eyes or ears for anubody else. The person who feels all this most keenly is Mozart’s elder sister, the 14-year-old Nannerl, played by the director’s daughter Marie Féret. She is reduced to the status of Wolfgang’s accompanist, despite being a talented musician and having, she claims, contributed to her brother’s compositions. His favoritism is clouded by the parochialism of the day, as when he scolds her for playing the violin, which he deems an unsuitable instrument for a girl. Her role in life has been decided. An accomplished harpsichordist (and pianist) and singer, she serves as her brother’s accompanist: when he saws on his violin, sometimes while blindfolded, she sits, smiles and plays. 1763 painting of Mozart’s sister Nannerl when she was 12 years old. She was born in 1751 and died in 1829. Nannerl, the subject of at least three novels also titled “Mozart’s Sister,” is in this film meant to be something more than a chapter in her brother’s biography though it’s not exactly clear what. 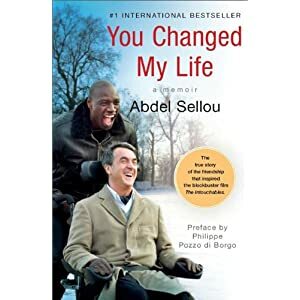 Somewhat frustratingly if reasonably, Mr. Féret never settles on whether she was a genius, a martyr, a feminist cause, a disappointed daughter, a resigned woman or all of the above. In a famous portrait of the family painted around 1780, the adult Wolfgang and Nannerl sit side by side at a piano while Leopold stands to the right holding a violin. Wolfgang and Nannerl’s hands are crossed over the keyboard, an apt image for a duet that, by that point, was over. After the family’s grand tour, Leopold forced Nannerl to stay home, where in time she took up her new roles as wife, mother and footnote to a genius. Rene Feret’s Mozart’s Sister is a lavishly photographed period biopic that contrasts the family’s struggle with the luxuries of its patrons. Papa Mozart (Marc Barbe) was a taskmaster but a doting father. Frau Mozart (Delphine Chuillot) was warm and stable. And this is crucial: Nannerl (Marie Feret) and Wolfgang (David Moreau) loved music. They lived and breathed it. They performed with delight. The great mystery of Mozart’s life (and now we must add his sister) is how such great music apparently came so easily. For them, music was not labor but play. One understandably hesitates to say Nannerl was as gifted as her brother. We will never know. She played the violin beautifully, but was discouraged by her father because it was not a woman’s instrument. She composed, but was discouraged because that was not woman’s work. She found her family role at the harpsichord, as Wolfgang’s accompanist. The feminist point is clear to see, but Leopold was not punishing his daughter so much as adapting his family business to the solidly entrenched gender ideas of the time. There’s a trenchant conversation late in the film between Nannerl and Princess Louise de France (Lisa Feret), the youngest child of Louis XV. From such different walks of life, they formed almost at first meeting a close, lifelong friendship, and shared a keen awareness of the way their choices were limited by being female. A royal princess who was not close in line to the throne (she was the 10th child), Louise had two career choices: She could marry into royalty or give herself to the church. She entered a cloistered order, and it was her good fortune to accept its restrictions joyfully. But think if we had been males! she says to Nannerl. Each could have ruled in their different spheres of life. Nannerl also has a close relationship with Louise’s brother, the Dauphin prince (Clovis Fouin), a young widower. It seems to have been chaste but caring. Nannerl was always required in the wings of her brother’s career, and after his death at only 35, she became the guardian of the music and the keeper of the flame. She found contentment in this role, but never self-realization. 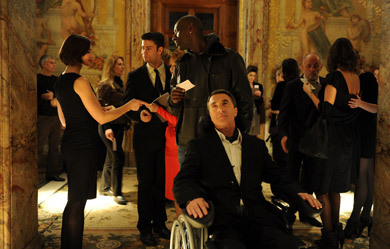 The movie is an uncommonly knowledgeable portrait of the way musical gifts could lift people of ordinary backgrounds into high circles. We hear Papa in a letter complaining about the humiliations his family experienced by tight-fisted royals (they were kept waiting two weeks as one prince went out hunting). Leopold was a publicist, a promoter, a coach, a producer. It is possible that without him, Mozart’s genius might never have become known. The film focuses most closely on Nannerl, a grave-eyed beauty, whose face speaks volumes. She aspires, she dreams, she hopes, but for the most part, she is obedient to the role society has assigned her. Marie Feret, the director’s daughter, is luminous in the role. The film takes a perspective far less grand than that of Amadeus—in fact, we aren’t meant to feel overpowered by Mozart, but perhaps even pitying of him. As expressed by the title, the real star of the picture is Mozart’s older sister, who is his superior in musical creation but is chastised for practicing and composing due to her gender. Instead of keeping these two central figures on the pedestal that their notoriety lends, director René Féret presents a story of an authentic family. Marie Féret manages both unparalleled genius and insecure and jealous teen girl as Maria Anna “Nannerl” Mozart. Her family is at once fractured and capable of love and warmth. 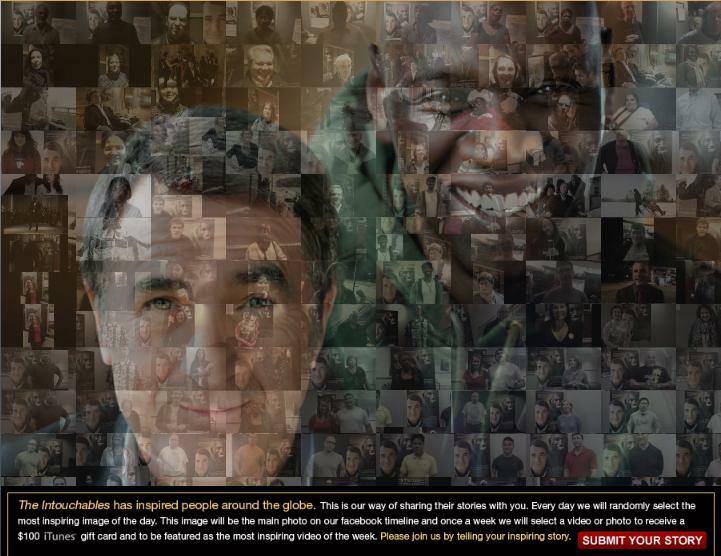 There are no “heroes” or “villains.” Each of the figures on screen feels like a genuine human being, and in a story about legendary folk, this is an impressive feat, as well as a truly effective means of conveying the hardships of the characters’ emotional struggles. Sad stories of artists overshadowed by relatives or lovers are common enough, and after films about TS Eliot’s wife, Rodin’s lover and Jacqueline du Pré’s sister, we now have Mozart’s gifted sibling, Nannerl, being sidelined by her conventional father in favour of little Wolfgang, five years her junior. A French film, mostly set in France when the Mozart family were close to members of Louis XV’s court, it’s a well-designed, tasteful affair. But as none of Nannerl’s music exists, judgments on her talent, as opposed to the cruel way contemporary mores insisted on her being treated, remain moot. MOZART’S SISTER Produced, written and directed by Réne Féret; director of photography, Benjamin Echazarreta; edited by Fabienne Féret; music by Marie-Jeanne Séréro; set design by Veronica Fruhbrodt; costumes by Dominique Louis; released by Music Box Films. In French, with English subtitles. Running time: two hours. This film is not rated. WITH: Marie Féret (Nannerl Mozart), Marc Barbé (Leopold Mozart), Delphine Chuillot (Anna-Maria Mozart), David Moreau (Wolfgang Mozart), Clovis Fouin (Le Dauphin), Lisa Féret (Louise de France), Adèle Leprêtre (Sophie de France), Valentine Duval (Victoire de France), Dominique Marcas (La Mère Abbesse) and René Féret (the Professor of Music).